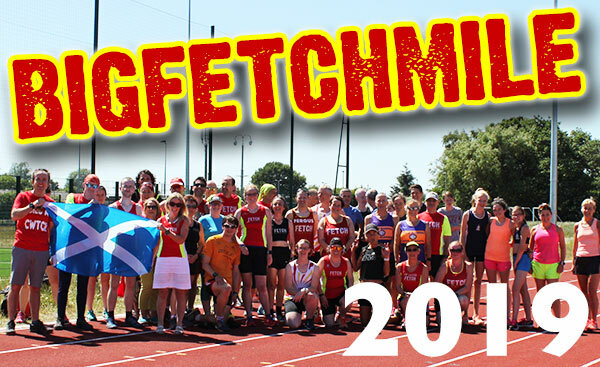 Following our successful Big Fetch Mile events around the UK in 2018, we&apos;re planning to continue our UK tour at three venues in 2019. And this is your chance to stake a claim for a Big Fetch Mile near you. It&apos;s simple. A timed track mile for runners of any standard, followed by as much cake as you can morally justify eating in public. Runners are grouped by their estimated mile times (this year we ranged from 4:53 to 13:46) so you have some nemeses to chase. We make no attempt to rank your cake-eating ability. If you&apos;re interested in attending a Big Fetch Mile in 2019, click the button to let us know. Knowing where you are will help us choose the most suitable venues. Do a Big Fetch Mile near me please! What is the Big Fetch Mile? It's a timed track mile for runners of any standard. So far our times range from 13:46 to 4:53, and our competitors range from 8 to 74. Come along, run a mile, eat some cake, meet some Fetchies, and chill out. Pretty simple really.